Cultural Scientist Alexey Gorin worked in the education sector and in the field of capacity building using formal and informal methods. He was teaching cultural history in universities in St. Petersburg and Greifswald, provided international trainings for volunteers in Germany and Russia in the framework of the European Education Programme ERASMUS+ and on behalf of the German International Cooperation (GIZ) conducted “Country Tutoring” for Germans in their preparation for working abroad . 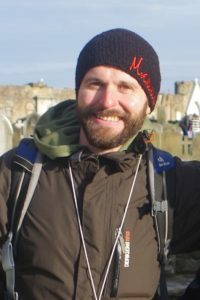 Alexey worked as independent researcher, translator, author and content manager for the German-Russian Bureau for Environmental Information (RNEI) and for the environmental NGO Bellona. Since 2008 he is working as a consultant, accreditor and monitor for SALTO EECA in the Eastern Partnership countries and Russia and for the German National Agency ERASMUS+ in Germany. Currently Alexey is also working part time as a Communication and Project manager in a big European Network including East Europe, Central Asia and Caucasus countries.